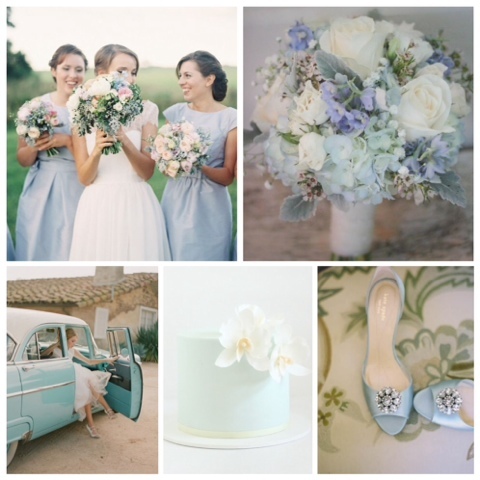 Wedding Wednesday: Pastel blue inspirations, mood boards, bridesmaid dresses and a DIY! 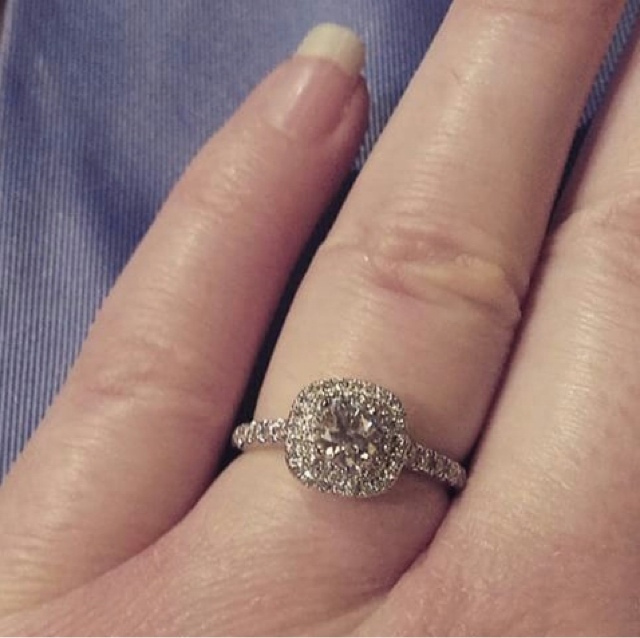 I've been planning this new feature (Wedding Wednesday) since becoming engaged back in January. 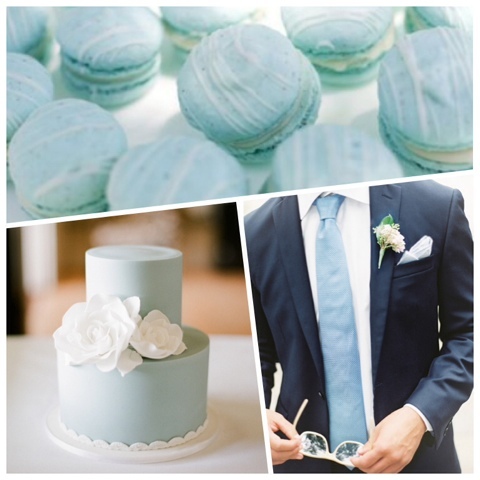 Every Wednesday I will be posting a wedding related topic whether it be colour theme's, inspirations, supplier recommendations, favourites, clothing or DIY's! 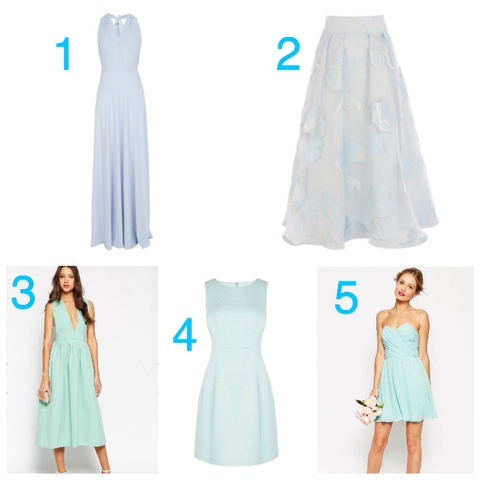 Throughout the year it's easy to pick up accessories, shoes and even bridesmaid dresses in a variety of blue shades from the highstreet, with something to suit all budgets. Below I have listed some of my favourites currently available, click on the corresponding number below the images to shop these dresses. A easy DIY for those wanting to get more involved and even save some money is to paint glass for your center pieces and decorations. 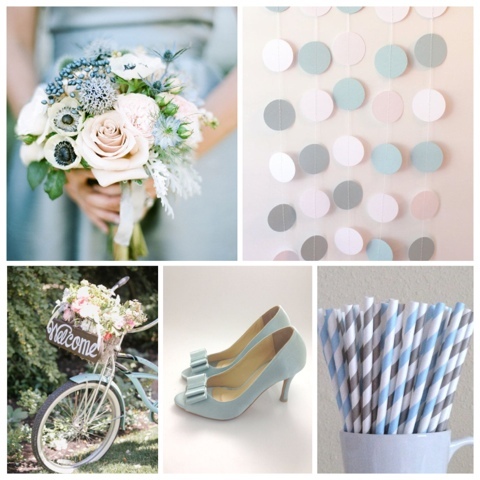 This quick and easy DIY means you can create unique decorations that suit your colour palette. Simply ask friends and family to collect jars for you or pick up cheap glass items in charity shops. 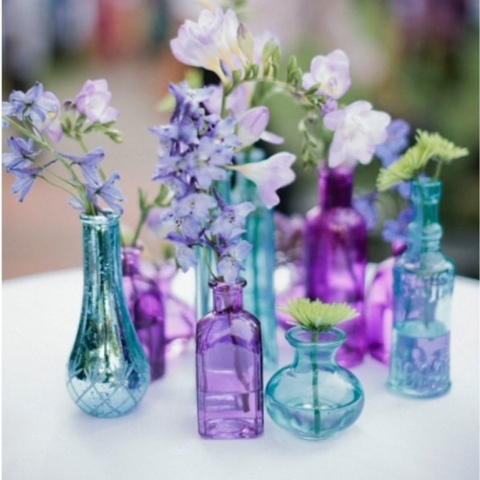 Then buy some glass paint in your local hardware store or arts and crafts shop to create your own perfect pieces! What do you think of a blue theme? Please also leave any requests in the comments below! 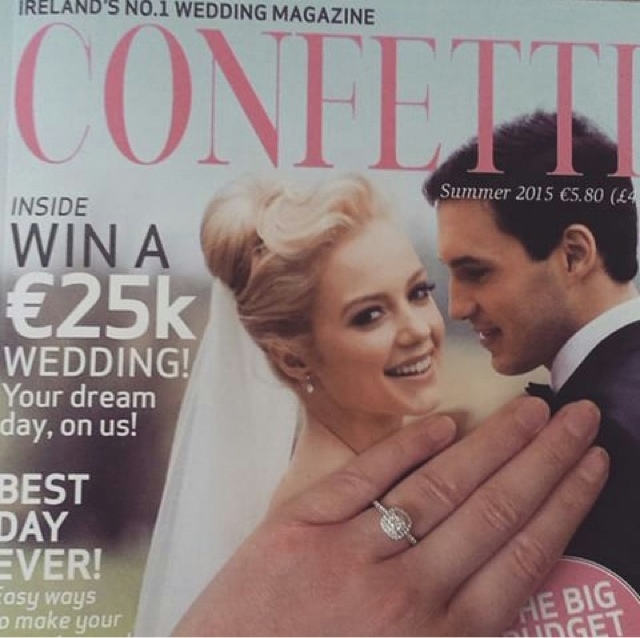 Engagement news and the future of Love, Life and Makeup! You may have noticed a lack of posts here in recent times well that is due to the fact that in January... 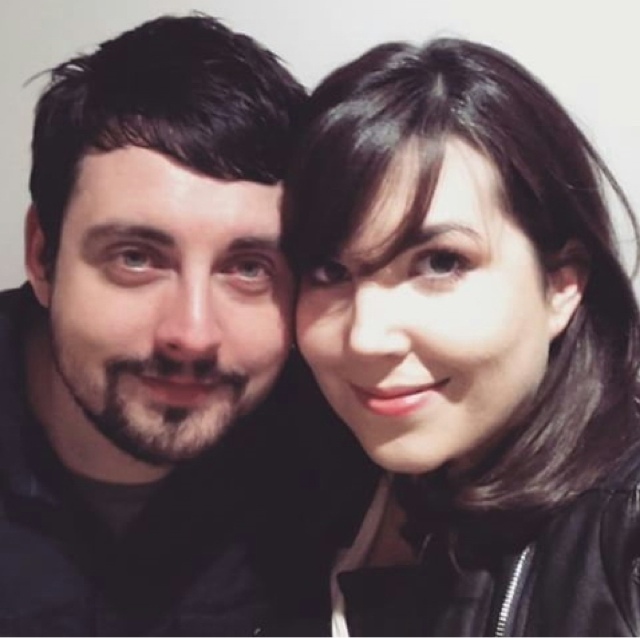 I got engaged! *queue excited screams and random flapping about! After the excitement of the day I decided I needed a bit of time away from blogging to spend some quality time with my family and of course to get to grips with planning! Hopefully, you'll be happy to hear I'm now back and looking forward to getting back to blogging. 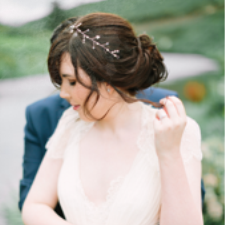 Going forward you can expect my usual fashion, beauty and lifestyle posts however I'm going to be including some extra wedding posts. These may be anything from dresses, decor, inspirations or just helpful hints and tips that I pick up along the way! Let me know if there is anything in particular you would like to see and I will do my best. I'm do excited to be back and look forward to what's to come!